The Scottish Vocational Qualification (SVQ) in Construction and Civil Engineering Operations (Construction) at SCQF level 4 allows candidates to demonstrate competence in job related skills in their particular area of work and expertise. This qualification covers areas such as general workplace health, safety and welfare, moving and handling and cutting, drilling and shaping materials. The SVQ Construction and Civil Engineering Operations (Construction) at SCQF level 4 consists of 5 mandatory Units. 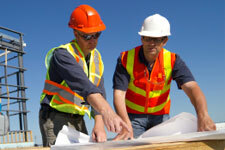 This qualification is also part of the Construction-Civil Engineering and Specialist Sector Level.